Today I started my Monday like I have so many other weeks. Coffee, a little bit of internet time, and getting ready to tackle that huge to-do list. So instead of framing, gluing, labeling, and making inventory lists, I spent the day writing, doing some research, and finishing up an image I promised @jeffreywith2fs for his Great Polaroid Giveaway project. This felt a lot more like playing than working! 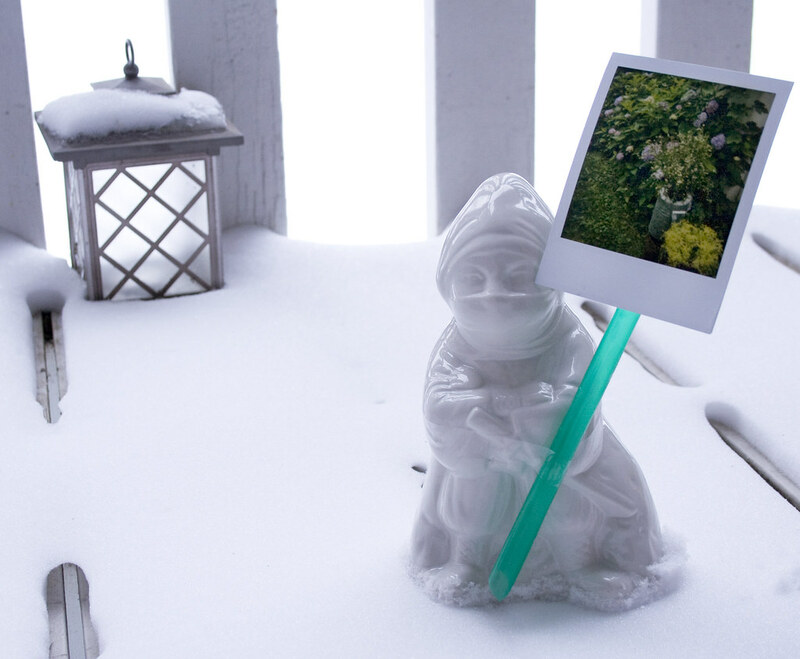 It is so cold here, even the snow ninja is protesting for the return of Spring! Taken with my Canon Rebel XT this afternoon, on my snowy deck. It was a wonderfully enjoyable day!